Dedicated to the needs of children and their families, our Orlando adoption attorneys offer years of experience to adoptive parents. We will work with your personally to provide comprehensive and caring legal representation throughout all phases of your adoption. We believe that those who wish to adopt a child, and mothers who are trying to find their child a loving home, need to understand Florida adoption laws and procedures. In this way, the adoption process will be completed safely and compassionately, protecting the child, the birth parents and the adoptive parents. As Orlando adoption attorneys, we know it is a joyous time when a child becomes a new part of a family. We also understand that adoption is a serious matter with complex laws. Many steps must be taken to make sure an adoption is facilitated properly. In all cases of adoption regarding minor children, Florida courts will make decisions based upon what is in the best interest of that child. When the adoptive parents meet and get know the birth mother or father, this is called an Open Adoption. In this process, the adoptive parents and the birth parents know something about each other. They also may agree to work together to determine how involved the birth parent(s) will be allowed to be with the child and the child’s adoptive parents. Other times, the process is a closed adoption. By choice, the birth parents and adoptive parents will not know or meet each other, or otherwise will have no contact once the child has been adopted. Private/intermediary/direct placement adoptions (where the adoption is facilitated through an intermediary). 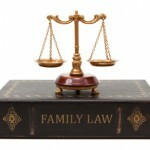 In Florida, attorneys may act as intermediaries between birth parents and adoptive parents. 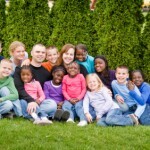 Step-parent adoption – we represent Orlando families in stepparent adoptions. In this process, the stepparent becomes the child’s legal parent, assuming all legal responsibility for the welfare of the child. Close relative adoption (aunt and uncle, cousin, grandparent) - many circumstances lead to the desirability of a grandparent or other close relative to adopt a child in order to keep the family together. Discuss your plans with our Orlando adoption attorney. As an adoptive parent, you should seek out an attorney who is compassionate, understanding, and profoundly experienced in Florida adoption law. When you work with professional team at the Kramer Law Firm, we will give you assistance, legal advice and skilled representation for type of adoption that is right for you, within all applicable Florida laws. We welcome the opportunity to discuss your plans for adoption. To begin the process, please contact an Orlando adoption attorney.